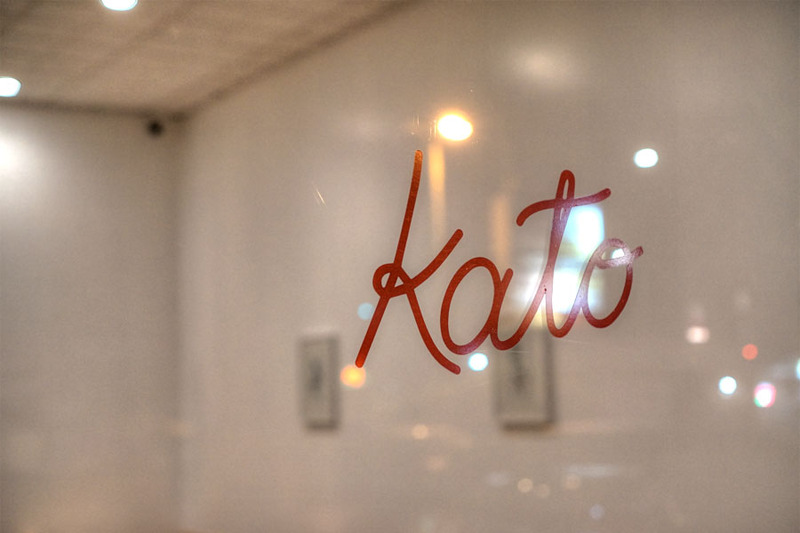 From the mostly traditional Taiwanese that I last reported on at Lao Tao, we move to a much more progressive approach to the cuisine here at Kato. 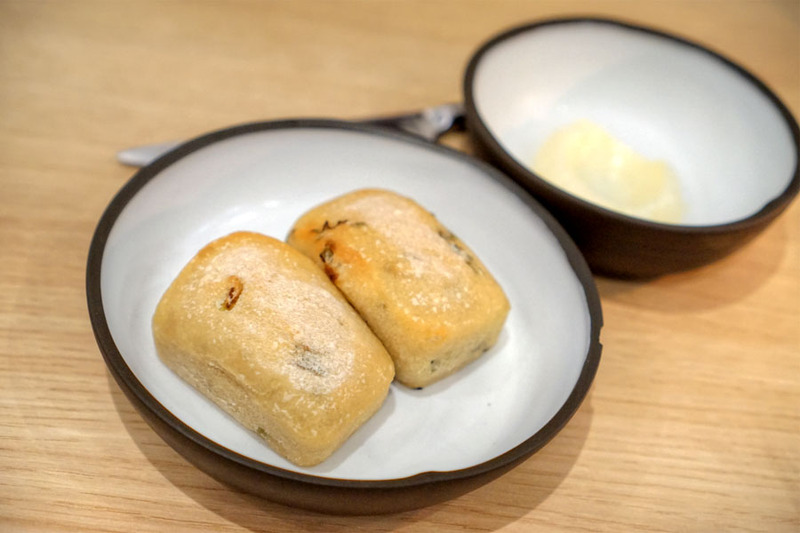 Named after The Green Hornet's assistant, the West LA restaurant opened in late June last year, and is the work of Chef/Owner Jonathan Yao. 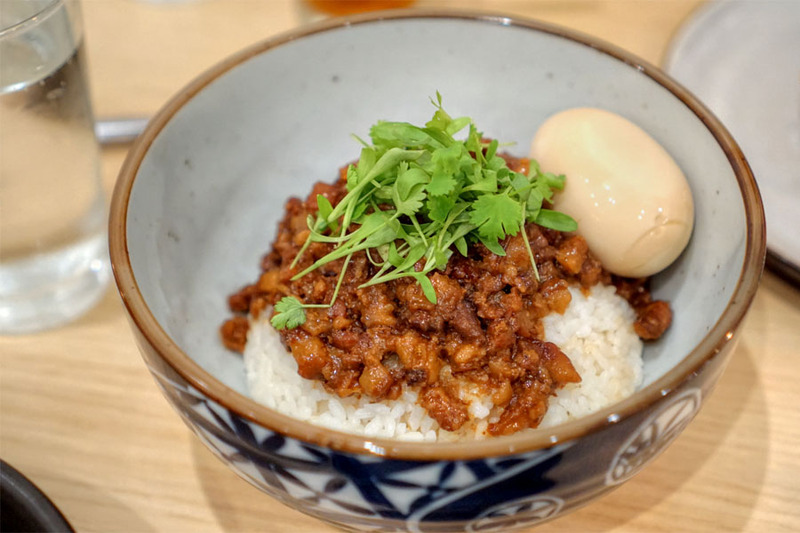 With Kato, Yao aims to present modern versions of Taiwanese food--something that most of us probably haven't encountered before--so I was eager to try this place out. About the Chef: Jon Yao grew up in Walnut, CA, the only child in a Taiwanese-American family. His mom was a talented cook, and as a result, he developed an appreciation for Taiwanese cuisine early on. During his junior year of college, he tried his hand at catering, slanging gua bao and luroufan out of his family's kitchen. After finishing his undergrad degree in anthropology, Yao's original plan was to prepare for the LSATs. However, he decided to apprentice at Alma in Downtown, and ended up staying for nearly seven months. Following, he relocated to San Francisco to work as a stagiaire at a pair of very highly-regarded restaurants: Corey Lee's Benu and Daniel Patterson's Coi. When Yao returned to SoCal, his plan was to apply for a job at Christian Puglisi's Relæ in Copenhagen. However, his parents were suddenly in the midst of opening a catering operation not far from UCLA. They'd stumbled across a location in a strip mall where the previous tenant had both an upstairs and a downstairs spot, and it was soon agreed to that Yao would take over the downstairs and help cover the rent. 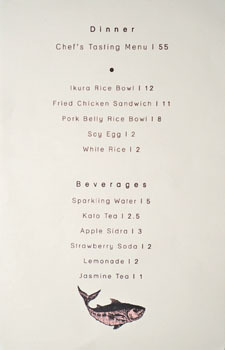 The original concept was to do a Taiwanese cafe, and the decision to have the place be an upscale tasting menu joint only occurred a few days after opening. His parents' original plan never came into being. Rounding out the team here are Sous Chef Dara Thang (The Boiling Crab, Honeyboba) and General Manager Nikki Reginaldo (Bootlegger's Brewery). 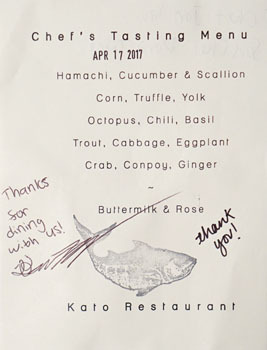 Kato's situated inside a bi-level Sawtelle mini mall, at a hard-to-spot corner location that formerly held Persian eatery Yetka. Inside, you can tell that the restaurant was put together on a budget, but you're totally alright with that. It's a minimalist spot, though there is artwork from Simon Kim adorning the walls (it was unclear if said pieces were for sale). There's space in the dining room for about two dozen, plus another three at the counter. 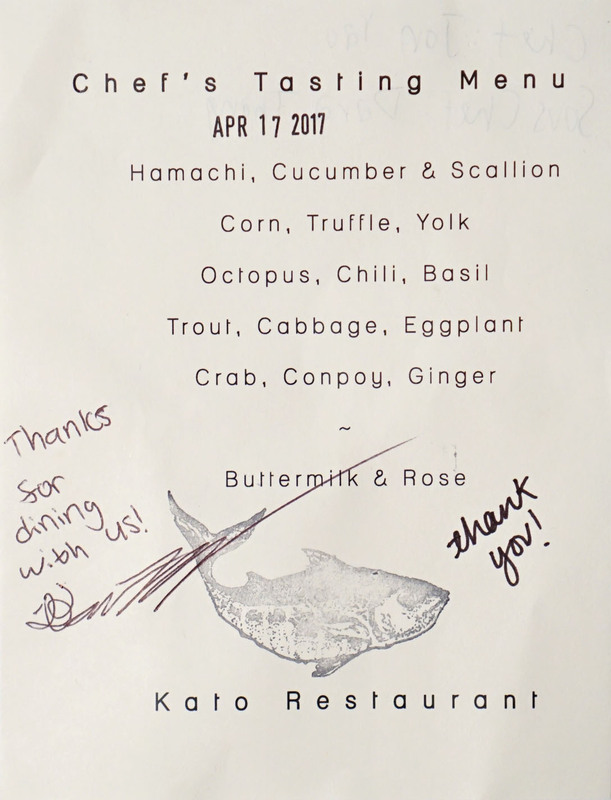 As for Kato's menu, it's a six-course Chef's Tasting at $55 a head (note: the place opened with a five-plus-course menu at $49), and there are supplements available. No alcohol is served, unfortunately. Click for larger versions. 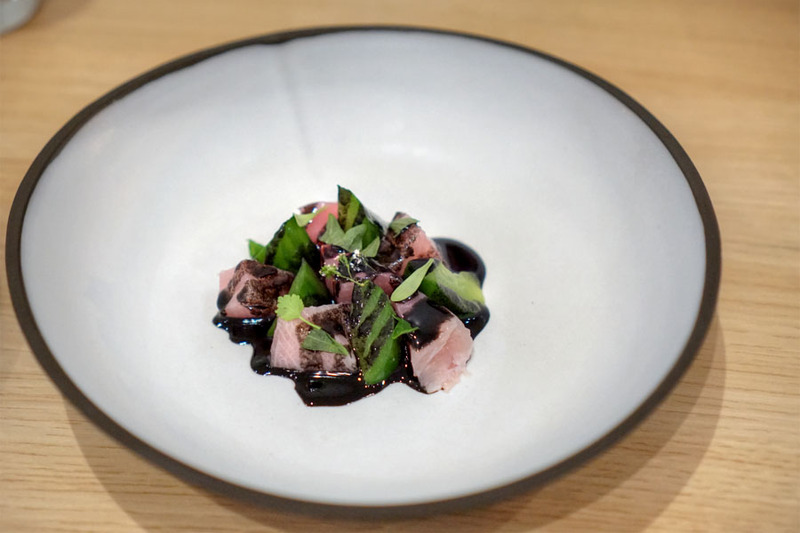 We began with smoked hamachi, served with lightly-pickled cucumber and dressed with a charred scallion sauce. It was a masterful way to kick things off. The fattiness of the fish was apparent, but complemented by the burnt character of the scallion while cucumber imparted crunch and brightness. Intense, yet delicate, with the smokiness never dominating. 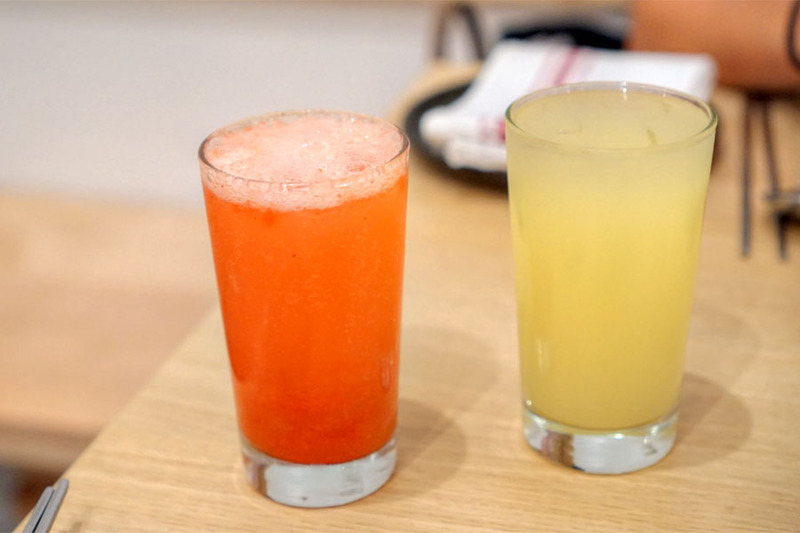 The Strawberry Soda [$2] was fun and easy, but the sweet-tart Lemonade [$2] was more intriguing thanks to its incorporation of yuzu. 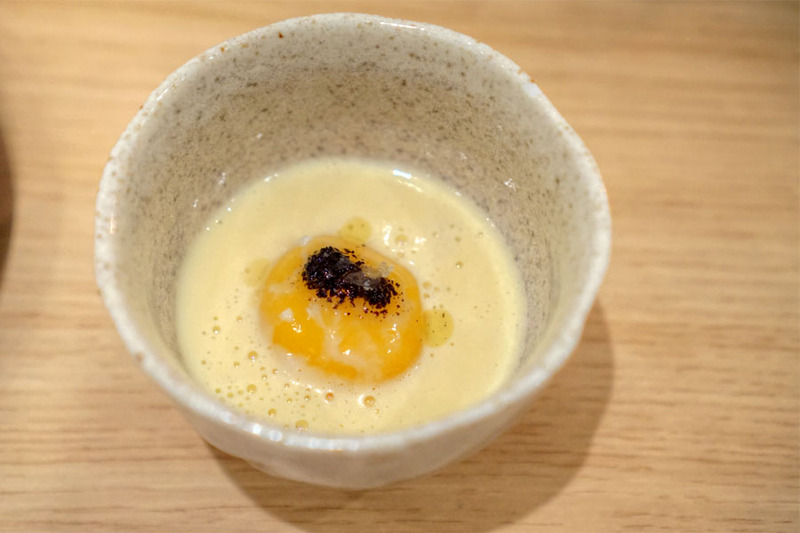 Next, we had a delightfully sweet corn potage, one augmented by the richness of egg yolk while a drizzle of truffle-black pepper sauce serve as a heady exclamation point. Accompanying the soup was housemade, scallion-enriched sourdough, which I found less sour and more savory than most. Great with the soft salted butter provided, and very useful to mop up the remaining liquid from the course above with. A single leg struck a balance between tenderness and chew, and showed off a wonderfully crisp exterior to boot. It was perfectly seasoned, savory, and very tasty alone. 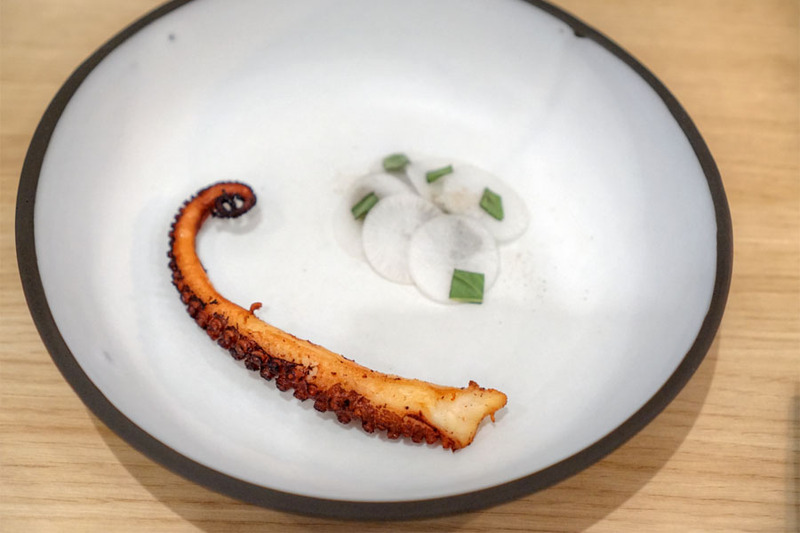 However, that basil and fermented chili sauce on the side was pretty amazing, adding a deep, piquant, in-your-face spice that really elevated the octo. 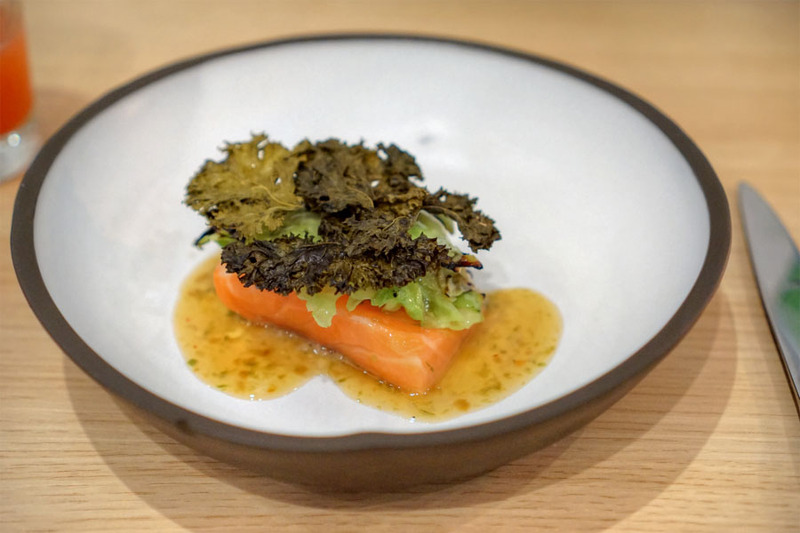 Ocean trout was cooked perfectly rare, its lushness and brine matched with simultaneously tart, spicy, and funky notes from that fermented chili-lemon vinegar dressing. I loved the savoriness of the charred cabbage and grilled eggplant as well, though the crispy kale didn't seem to contribute too much to the dish. 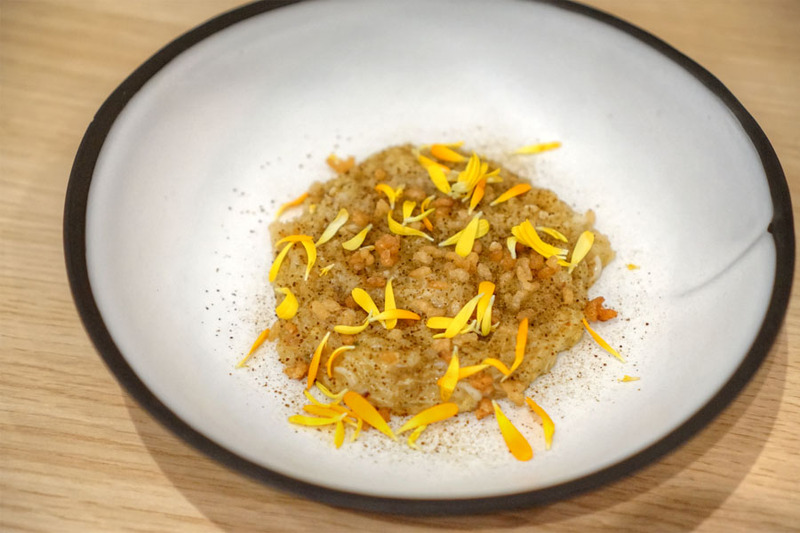 A conpoy powder-enhanced porridge managed to be both cozy and refined, doing a great job meshing the sweet brine of crab with blasts of umami from the dried scallop. Underlying notes of ginger, meanwhile, offered up a counterbalancing zestiness, and I got an excellent textural component from the crispy rice as well. Yep, gimme a big bowl please. 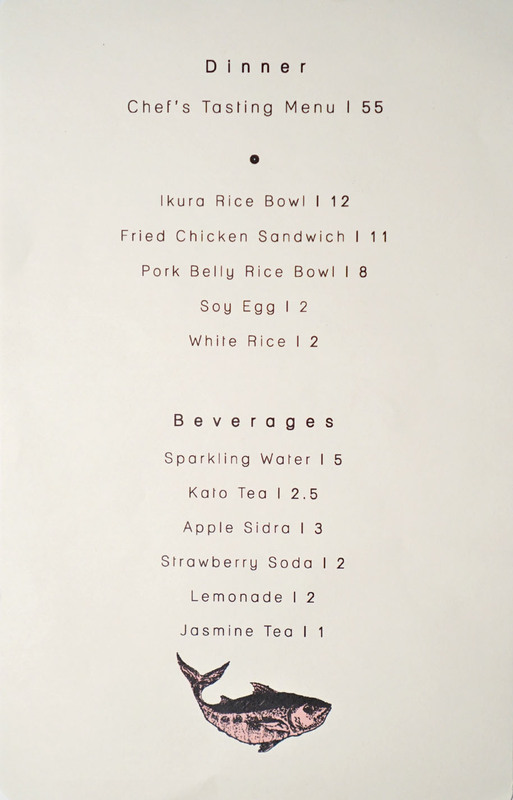 With the sodas all drunk up, we moved on to the salty-bitter Kato Tea [$2.50], basically jasmine tea with salted tea cream and green tea sprinkles, as well as an iced Jasmine Tea [$1]. Naturally, we had to sample all three of the supplemental dishes. First up was the ikuradon, the only obviously Japanese item on the menu. 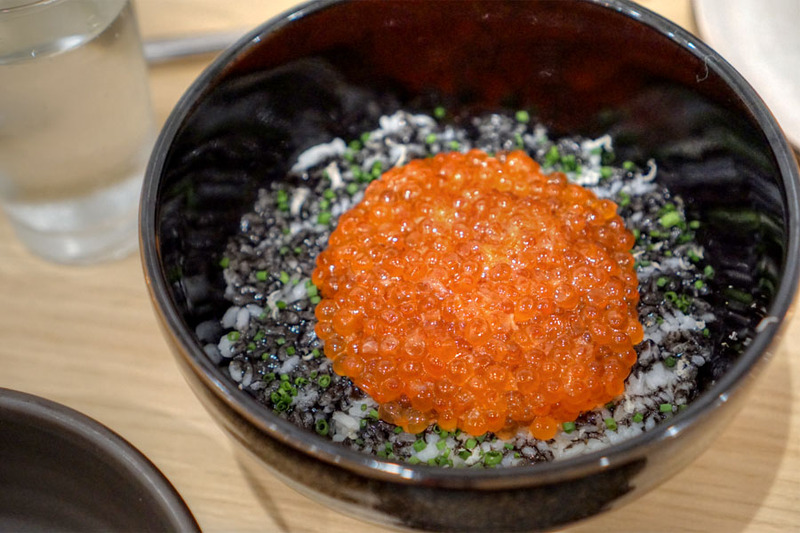 It was a success: a marriage of brazenly briny sake-cured salmon roe and rice enhanced with an earthy dried scallion sauce and horseradish. Yao's take on the ubiquitous fried chicken sandwich was spot on, and certainly one of the better versions I've had. The bird came out as crisp, juicy, tender, and flavorful as I'd hoped for, but what I found interesting was the batter, which had a lightness to it that reminded me of what's used in Chinese salt-and-pepper seafood preps. Also key was the heat imparted by the honey-chili mayo and Szechuan pepper relish (which had a basil-y component that made me think of popcorn chicken), as well as the levity provided by the herb slaw. Very cohesive. The lu rou fan is probably the most popular of the extras, which is understandable. Braised pork belly made for a dish of pure comfort, one taken up a level by the luxuriousness of that runny soy egg while cilantro conveyed a necessary zippiness. I will say that Lao Tao's version of this staple included two types of pickles, which I think would've worked wonders here as well. Overall, the supplemental courses didn't really "fit" in the meal per se, but boy were they tasty. 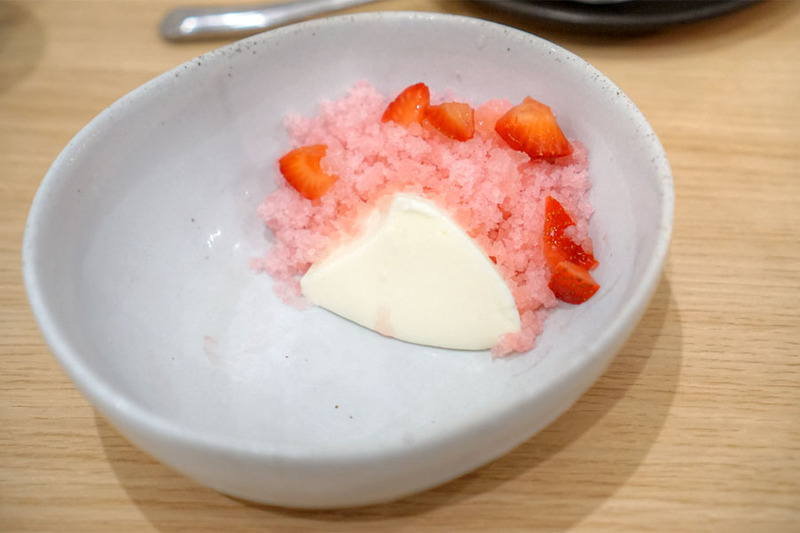 Dessert brought together buttermilk pudding, rose ice, and strawberry. Think floral and fruity, but balanced by the comparative lightness of the pudding. 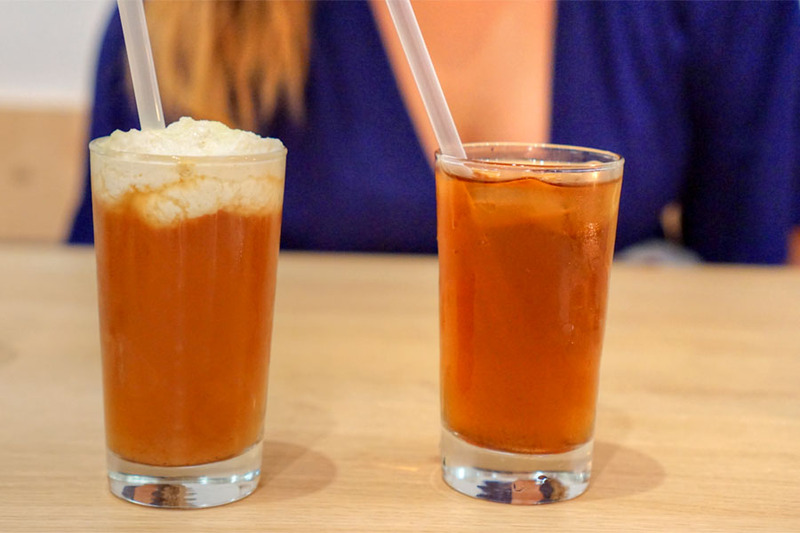 I got a rather bracing temperature contrast with the granita as well, which also served as a textural element. I had high hopes for Kato, and it did not disappoint. This is a very personal restaurant, a very of-the-moment restaurant, a very "LA" restaurant, which is what I love about the place. The cooking's nostalgic in some ways, yet contemporary, and fun too. Flavors were familiar, comforting, but at the same time finessed, sophisticated. It all made for one of the more promising meals I've experienced in a while. As for what's next, Yao and company are considering a lunch concept, and they've already experimented with lunch pop-ups focused on chicken sandwiches, including one at The Cannibal. More ambitiously, the Chef would like to do a more upscale tasting menu restaurant in which a dozen or so diners are seated at a bar surrounding the kitchen, with cooks serving customers directly. Let's hope that comes to fruition. 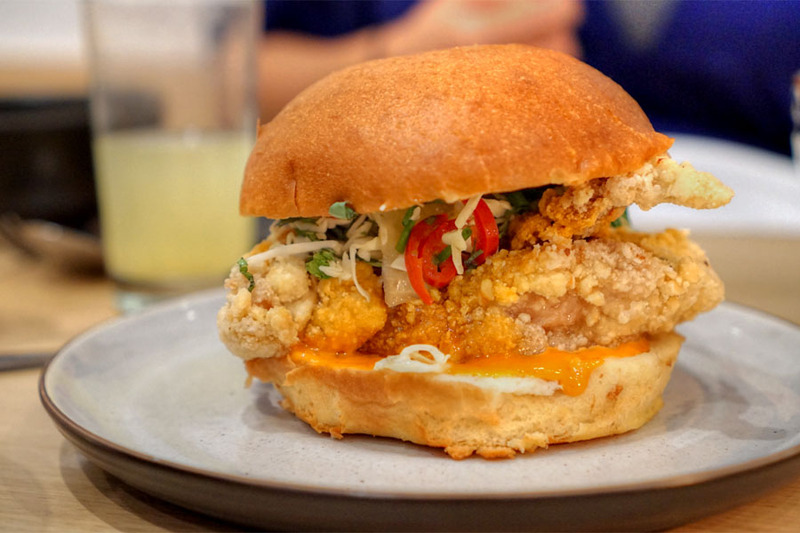 Fried Chicken Sandwich looks too legit to quit.